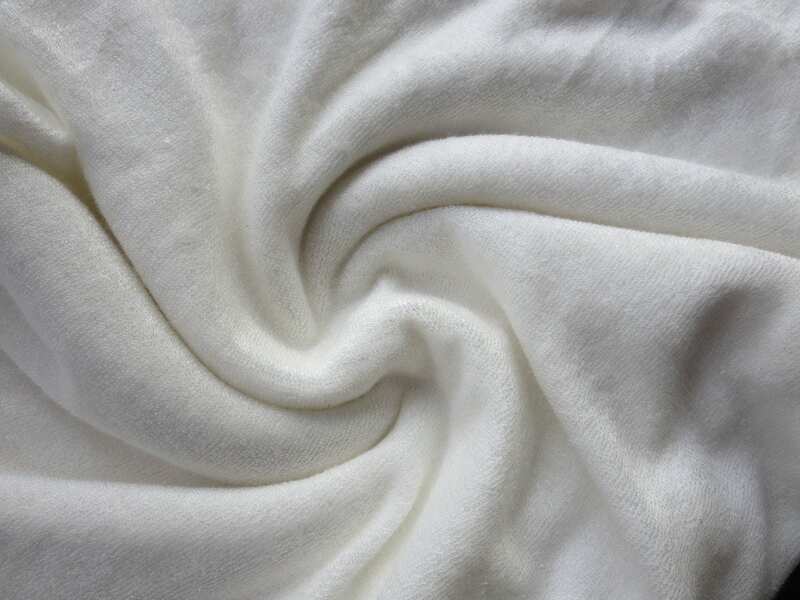 Wonderfully-soft and silky loop terry, ideal for designs which require a soft, sturdy and stretchy single loop terry. 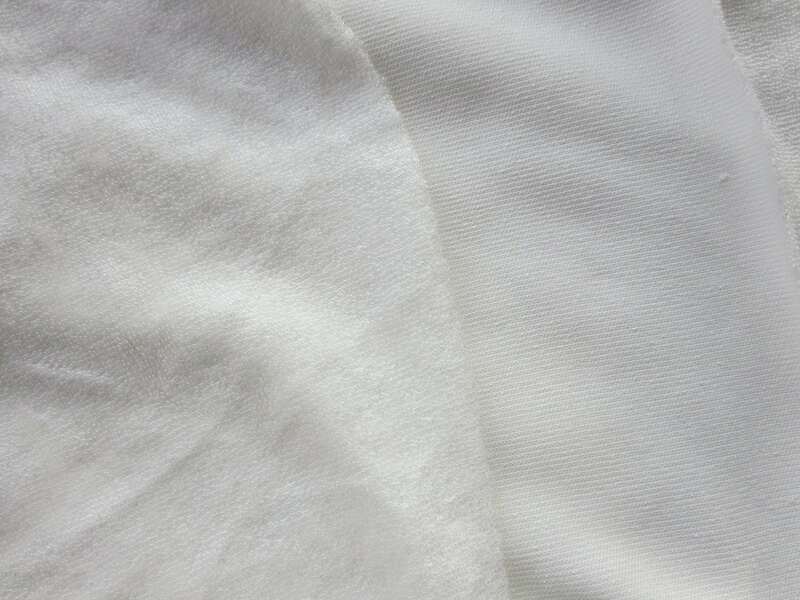 It stays soft with age and is durable compared to cotton. Features small baby loops on one side and a flat back on the other side. The baby loops absorb quickly, while being very gentle on the skin. This fabric is ready to absorb when you purchase it. There’s no need to prewash and dry it to activate its absorbency. It's been done for you with a proprietary process developed over two years. Manufactured with no harmful chemicals or finishes. CPSIA compliant, meeting stringent standards by the U.S. Consumer Products Safety Commission on lead and phthalates and flammability. This is a little too thin for my project, but I was not familiar with this type of fabric. The seller was great & was very helpful. The cloth was carefully wrapped. 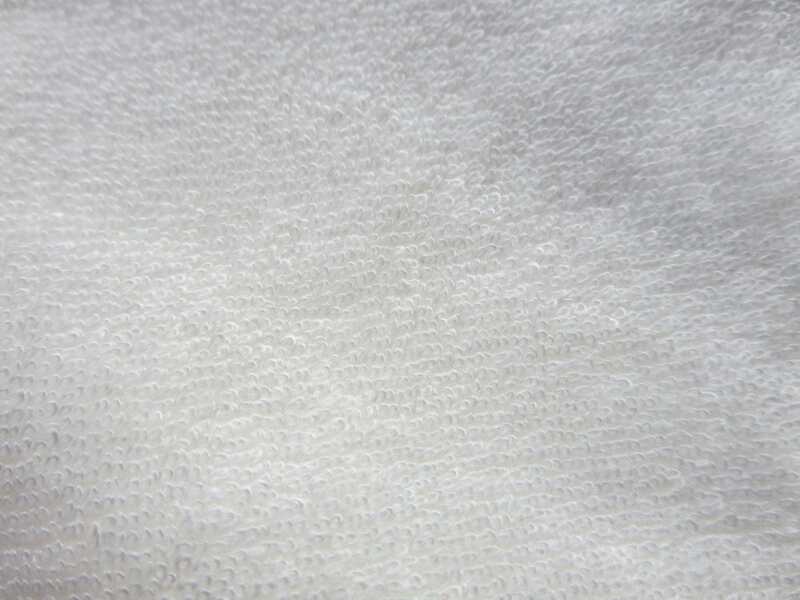 It is very soft material, so it would be wonderful for other projects.